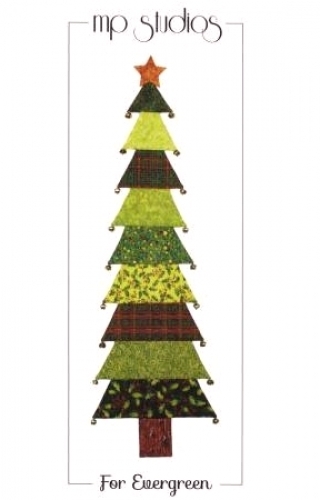 For evergreen will make a perfect gift for someone special or decorate your home for the holidays. Make it scrappy, reversible or all in one fabric. 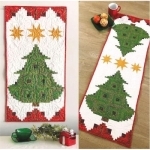 Make it Christmas on one side and fall fabrics on the other and will give you two for the effort of one. Embellish with bells, buttons miniature Christmas ornaments or swags. Let your imagination go and creatively decorate your tree. Finished size approximately 15in x 42in.